Arsenal ends Man United’s unbeaten run as Mourinho’s tactic backfires – Royal Times of Nigeria. 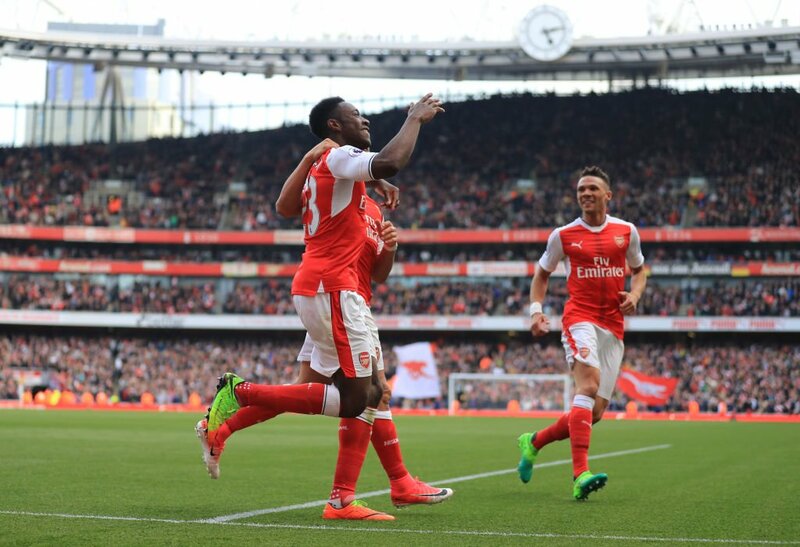 Arsenal ended Manchester United’s 25-match unbeaten run in the Premier League and kept up their hopes of securing a place in the top four. After a largely uneventful first half, Granit Xhaka opened the scoring with a looping shot from distance, which came off the back of Ander Herrera and went over goalkeeper David de Gea. And they doubled their lead three minutes later when Danny Welbeck headed home against his former club after a pinpoint cross from Alex Oxlade-Chamberlain. Jose Mourinho introduced Marcus Rashford and Jesse Lingard to try to rescue the game, but they failed to bring the visitors to life. Captain Wayne Rooney, who started up front, twice had a go from distance but both efforts went over the bar. The result means Arsenal remain in sixth place but are two points off United in fifth and six points off Manchester City in fourth, with a game in hand over both teams. 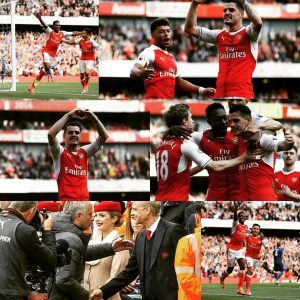 The win is Wenger’s first victory over Mourinho in the Premier League.